Posted on December 16, 2014 by Swathi Bhat wrote in Affordable, eye makeup, eyes, Kajal, Lotus, under 300. It has 0 Comment. I love how Jetblack Herbal Kajals are, plus they come with some added goodness in it. But forget about long lasting they are not even smudge proof. Most of them end up giving the worst panda eyes. Then comes our long lasting Kajal, some are affordable , some are overpriced. Some work and some doesn’t. But they score better than the herbal ones. 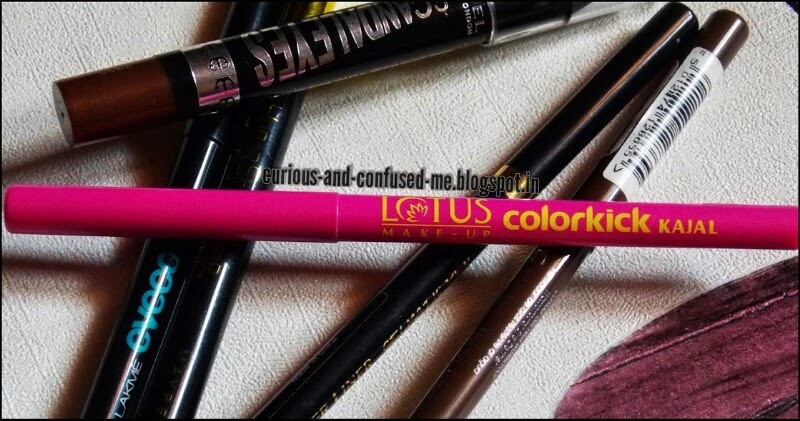 I think Lotus somehow figured this out and created this Colorkick Kajal. Blackest of Black Kajal housed in pink package, which you will be able to spot from , miles away. With the claim of being Smudge proof for 8 hours. No ingredient list is mentioned but Lotus says it has botanical extract of Almond Oil. -Just one swipe on waterline and your done. No need to go back and forth to make it visible on waterline. -When you apply it has a sheen, which sets into matte. But I feel that it’s not completely matte. -When I wore the Kajal alone on the waterline it stayed for 4+ hours, then Kajal started fading by minuscule amount and continued to stay on till 6+ hours. -When I used an eye-shadow to set the Kajal on waterline, it was intact for 5+ hours. -Stayed on 7+ hours as eye liner. – Comes in a twist up type package. Its travel friendly, cap shuts effectively. -It’s smudge proof, waterproof . -No irritation to the eyes. -Takes some time to set. – Needs a makeup remover to remove it completely. – It does gets transferred a little on the fingers if you keep touching it. -Less Quantity, compared to the other counter partners. It will get over soooon! Will I repurchase: Yes, soon. Will I recommend: Yes. We all love Kajal , we all love trying Kajal’s from different brand. Give this a try. 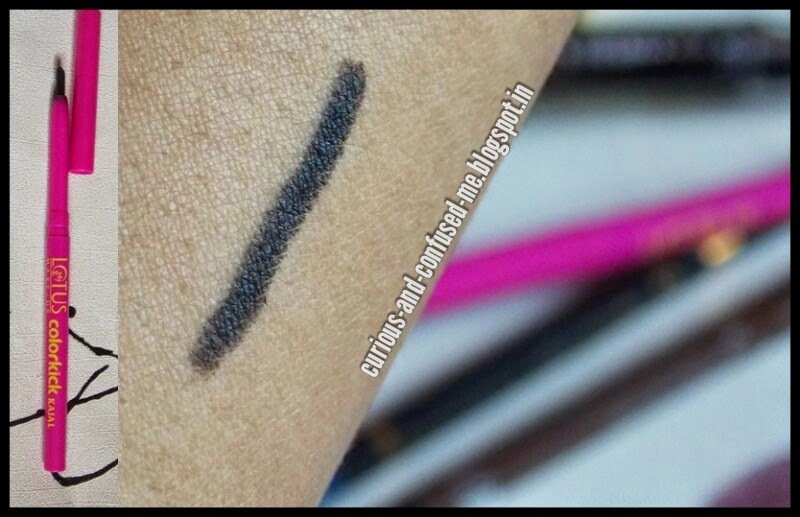 Creating smoky eyes has been easy peasy after this Kajal came into my life. As it takes some time to set, you can apply this on the both upper lash line at once, then smudge it one by one. No need to hurry. I have smudged the Kajal on upper lashline. Sorry, I am still new to this EOTD stuff, will try to put up a better picture. As I mentioned in the Haul Post, ever since I saw this Kajal in Cosmopolitan issue, I have been on a lookout for this. And coincidentally I have been able to empty all my Kajal’s !! I have seen this in Snapdeal, Nilgiri’s and NewU. It’s the blackest of all the Kajals I have used; It’s smudge proof, waterproof and has all the goodness of the herbal Kajal. Go grab this whenever you spot it, you won’t be disappointed. Have you bought it already? Or searching for it? Do share.